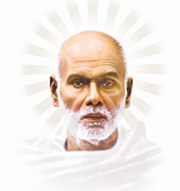 The Sree Narayana Dharma Paripalana (S.N.D.P) Yogam in 1946 resolved to establish a college at Kollam in obeisance to the great saint, philosopher and social reformer Sree Narayana Guru, to provide better higher educational facilities, mainly for the backward classes of Kerala. The resolution came true when the Sree Narayana College was opened in 1948 as a mixed college. To meet the increasing demand for seats, it was decided to start a separate college for women. The Sree Narayana College for Women began to function in the same building in September 1951 with affiliation to the University of Kerala, after shifting the already existing College to a separate building which continues to function as Sree Narayana College, Kollam. Sree Narayana College for Women stands as a proud and triumphant symbol of a renascent and progressive society ushered in by the spiritual effulgence and vision of the great Guru. The college had a modest beginning with a few courses at the intermediate and undergraduate levels. More courses were introduced later. The college was elevated to the status of a Postgraduate institution in 1964 with the introduction of M.Sc. course in Home Science. The Department of Chemistry was elevated to the status of a Research Department in 2008 and at present 10 Research Scholars work under two Research Guides.Now the college is one of the leading centres of learning in the field of higher education in Kerala with 14 teaching departments offering various courses at the Degree and Post-graduate levels for over 2500 students.